UCL students with an interest in China can apply now for a fully funded Master's scholarship for 2017-18 at Peking University's (PKU) Yenching Academy. The Academy has opened applications to UCL students for the 2017-18 Master's Programme in China Studies. The residential programme brings together outstanding graduates from across the globe to develop as emerging leaders and innovators. Scholars explore China's past, present and future role in the world, focusing on interdisciplinarity and considering the country's development from both Chinese and international perspectives. interest in exploring different cultures, particularly those of China and the Asia Pacific region. Preference is given to candidates who will be 25 years old or younger as of 31 August 2017. Applications should be made directly to the Yenching Academy by 31 January 2017. Find out more about the programme on the Yenching Academy website. UCL Graduate James Ashcroft was among the first cohort of Yenching scholars and went on to become Director of Logistics of the inaugural Yenching Global Symposium in March 2016. The 23-year-old said: "I think my experience in Beijing will serve me very well because it has been an opportunity for me to focus less on academia and more on my development as a leader in an extracurricular setting. It exposed me to new ways of thinking about things. 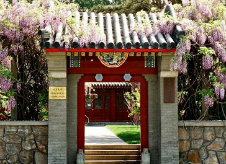 "Yenching Scholars come from approximately 35 countries around the world and well over 50 of the best universities worldwide. It really is the most rewarding group of people I've ever been surrounded by." Having returned to the UK, James will now take up a job at Deloitte. He added: "I think you can't escape engaging with the world around you and the opportunity to live in a different country and experience a different culture is something that you will never be able to do in as risk-free an environment as in academia. I think UCL students should try to seize as many different opportunities as they can find."